The DALI MEGALINE is DALI's flagship high-end speaker. The MEGALINE was originally developed as a one-off showpiece for Hi-Fi exhibitions. Standing a striking 2.31 meters high (91 inches), MEGALINE impresses everyone who hear and see it. Consequently, the MEGALINE has been put into production by public demand. The current third generation of DALI MEGALINE is a statement of the audiophile design principles of DALI. The materializing of what we try to achieve with every DALI speaker. The MEGALINE is developed, designed, hand-built, assembled and individually tested at the DALI factory in Denmark. 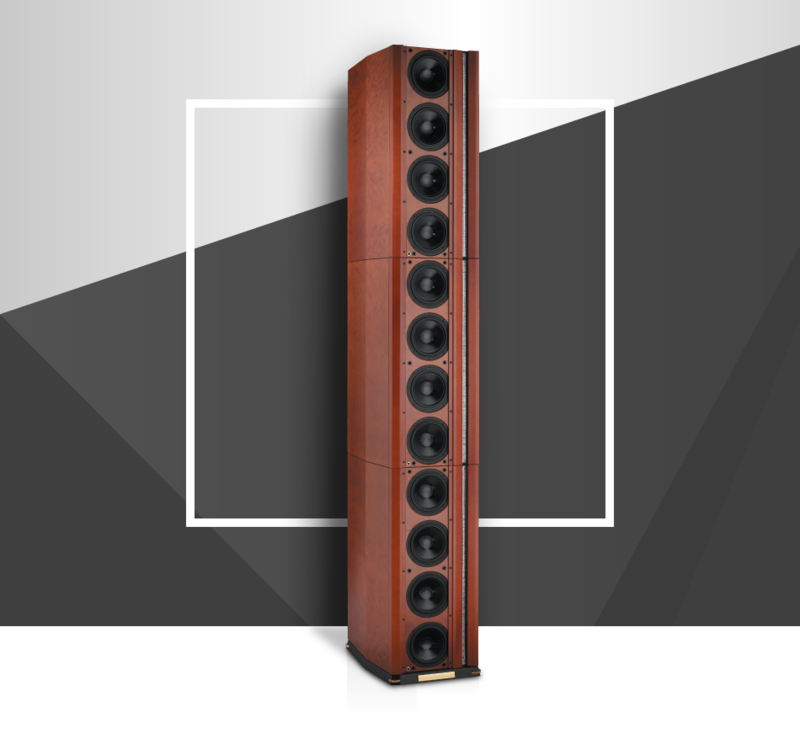 Extending higher and reaching lower with no less than 24 unique bass and mid-drivers, the DALI MEGALINE is the ultimate solution for low distortion and high dynamic headroom. Deviating from the traditional point-source philosophy, the MEGALINE's line source configuration takes the room out of the equation and delivers extraordinary room-filling audio. The MEGALINE's 6 DALI-developed ribbon tweeters creates a unique extension of the ribbon technology. This ensures a state-of-the-art wide dispersion and supiriour integration with the bass/mid-range drivers. 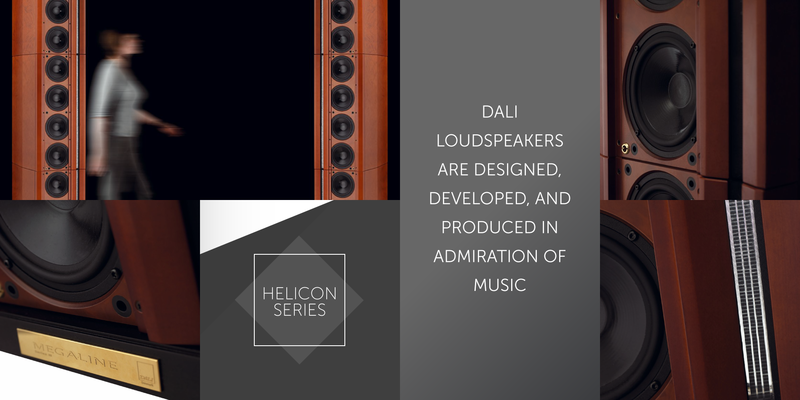 Introducing the DALI MEGALINE loudspeaker system. The MEGALINE is a statement that pushes back the boundaries of what is possible in the art and craft and science of loudspeaker design.